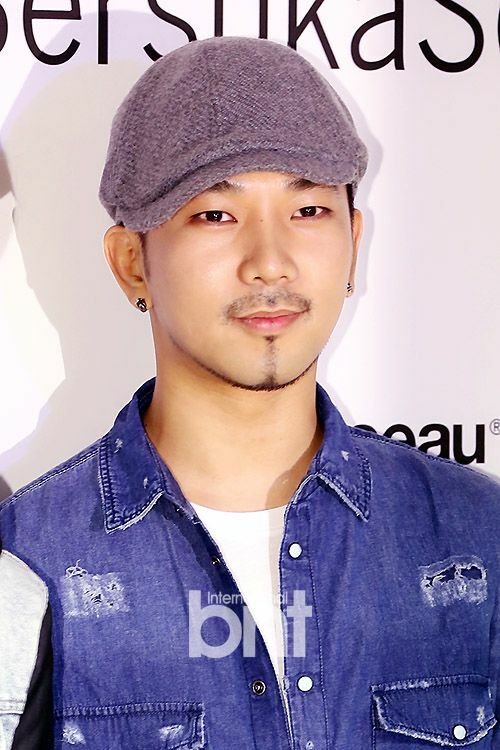 Happy 50th Day of G.O’s military service!! There are only 681 more days remaining! 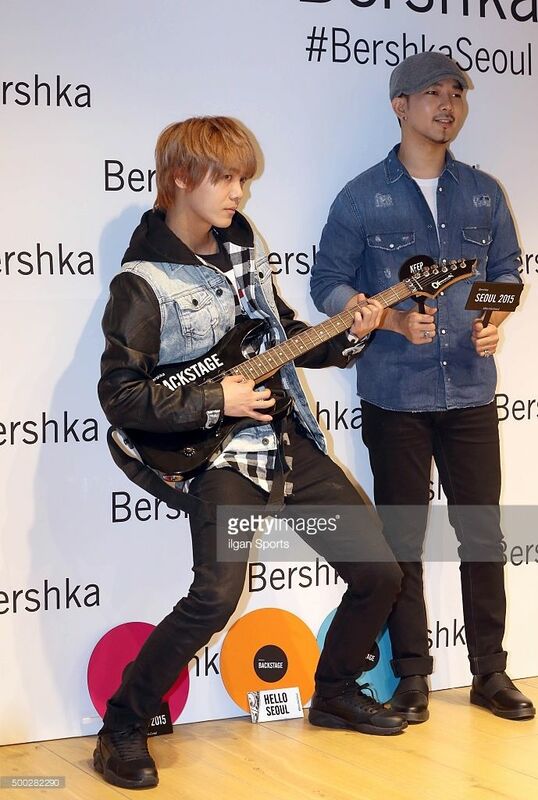 I feel like chasing some of these I am missing G.O blues away with this moment from the Bershka Seoul store opening he and Mir attended this past November. 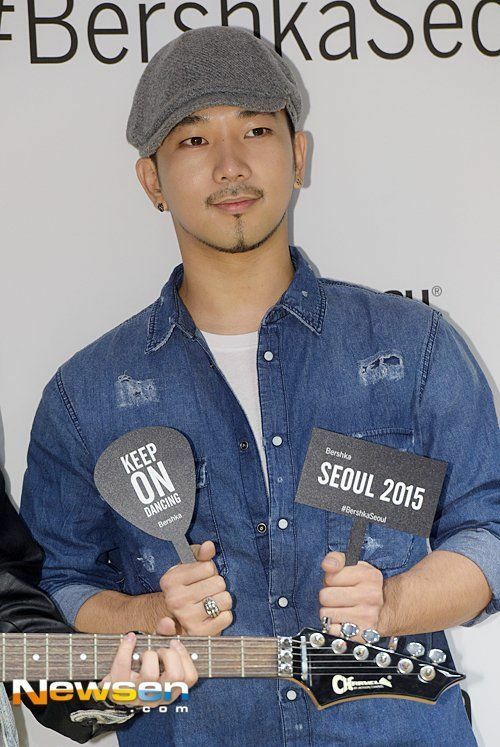 G.O was looking positively luminous in this distressed and comfortably casual denim shirt, soft white tee, and signature grey messenger cap. He further accessorized the evening with maknae Mir. 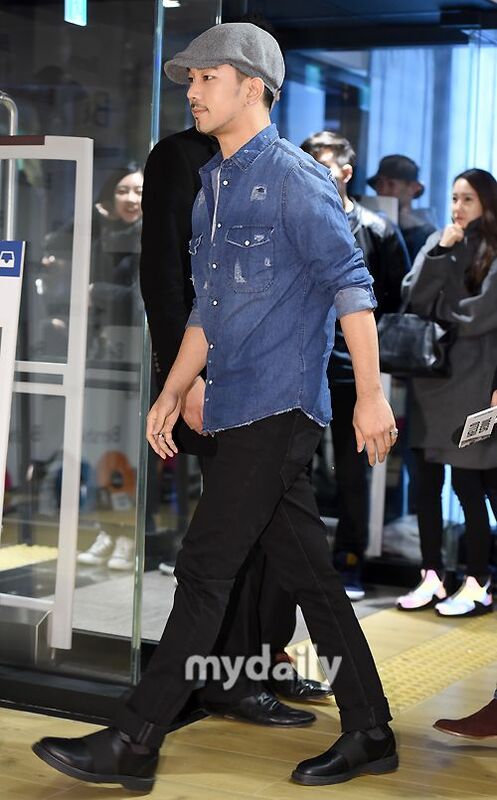 It was November 20, 2015 when the wild pair made an appearance at the opening of the Bershka store in Seoul. Mir brought along some swag while G.O brought his gentle, gracious and soft smile. Every day I am grateful G.O allowed me to choose him. Every day I learn something new about him. Whether he is singing, acting, dancing, composing, modeling, or serving his country, I will continue to ask the world to take notice of him and to allow his talent, his charm, his grace and his gentle humbleness woo and win their hearts as he has done ever so ardently with mine. Categories: G.O Military Discharge, MBLAQ Musings, The G.O Files | Tags: Bershka Seoul, G.O, G.O Endorsements, G.O Endorsing Bershka, G.O images, G.O's Military Service, Jung Byung Hee, Jung Byung Hee images, Martha's Trouble, MBLAQ G.O, MBLAQ G.O images | Permalink.